Hey, Lady Grey: Have An Extraordinary Weekend! Happy Friday, lovely readers. I can't believe it's here already. Speaking of time flying, can you believe that Fall is officially one week away? They say time passes more and more quickly as you age...and it certainly appears to be true for me. Well, at least we have our weekends... to slow things down... to appreciate the little moments. I wish I could share the magic of the aurora borealis with you. Every night we look out for it. So far we've seen it twice, and it always leaves us completely mesmerized. I hope your weekend is filled with enchantment and beauty. If you want to be inspired, watch this video..... it will make you feel so grateful for what you already have. Are those your photos? I have yet to see the northern lights and it seems like they're too crazy magical to be real. That lens mug looks tough to clean! And very cool. That is a super cool coffee mug. I need it! Hopefully someone will buy it for my birthday. I LOVE THAT MUG! It would be a great gift for some photographer friends too :) The Northern lights are incredible! I want to see this some day! Its on my list of things to do. AWESOME! I'm so glad you got to see them together! Beautiful pictures! I have many Norther Lights related questions for you two when you get home. Vanessa, Your aurora borealis pictures leave me mesmerized too! Time does move whip by as we age... I agree, and now understand what my auntie has been saying for years... or decades now! Just stumbled upon your blog - a delightful spot! 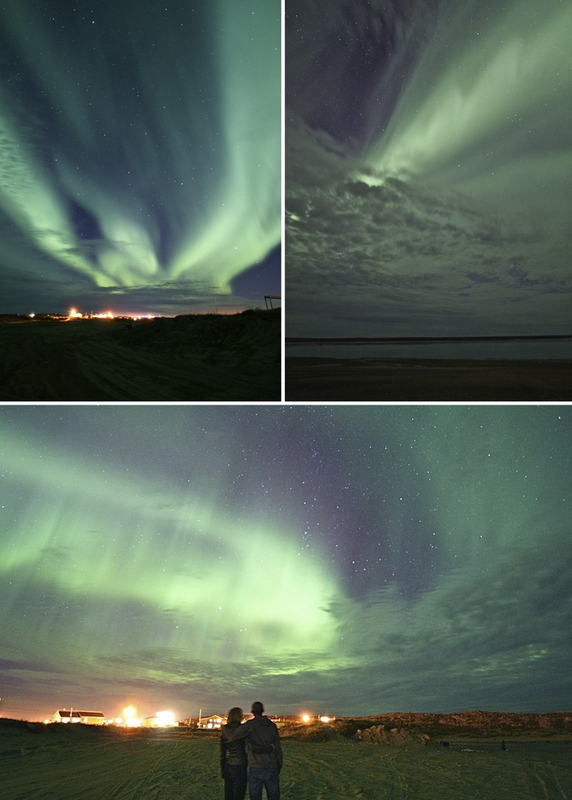 The aurora images above are a feast for my sensitive soul - I am such a child of nature. wow, i'm jealous...I've always wanted to see those and never have...stunning!